Thank you to all of you have participated in albertapatients conversations and surveys! We are gathering and compiling what you tell us every week. This information is shared with the AMA Board of Directors. Even at this early stage we can see that what you are telling us will be very helpful as we decide how best to advocate for a patient- and family-centered health care system. 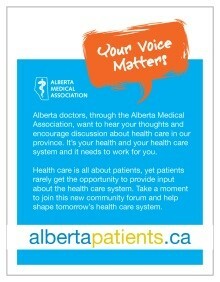 And, word is getting out that great conversations are happening in your albertapatients.ca. Other health care organizations are beginning to mention that the AMA and patients are talking. 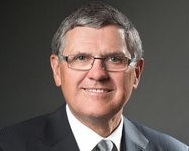 We expect that what you share with us will be an increasing, unique and very important voice when it comes to shaping Alberta’s health policy. Congratulations on being a participant. Please do encourage your family and friends to do the same – the more voices, the better! In August, the AMA asked albertapatients about their perceptions of and experiences with mental health services in Alberta. We learned some very meaningful things from your evaluations of accessibility and quality, but also in the comments you provided. For example, many of you identified the social stigma surrounding mental health issues as one of the biggest challenges to be overcome when dealing with mental health needs. We don’t have room to share all our results here today, but we have provided a few highlights that we thought were particularly thought-provoking. Please see Did You Know, below. Mental Health in Alberta. Did you know? Only 14% of Albertans we spoke with have no exposure whatsoever to mental health conditions. Almost three-quarters have been affected by depression in some way - either personally, or through a close friend or family member - and nearly two-thirds have experience with anxiety. Those in need of mental health services are finding them difficult to access. Over 60% of survey respondents agreed that accessing mental health services in Alberta has been difficult for themselves personally, or for a close friend or family member. The quality of care received by those with mental health conditions is perceived as fair, at best. Only 26% of survey participants feel that Alberta's mental health care services have provided good quality care to patients. We hope you found our research interesting. This was an exploratory survey and we intend to do more in-depth research in this area. If you told us you would like to join a discussion forum about mental health issues, you can expect to hear from us! Of course, and as always, if you would like to make some comments or suggest an area for further research, Let Us Know.